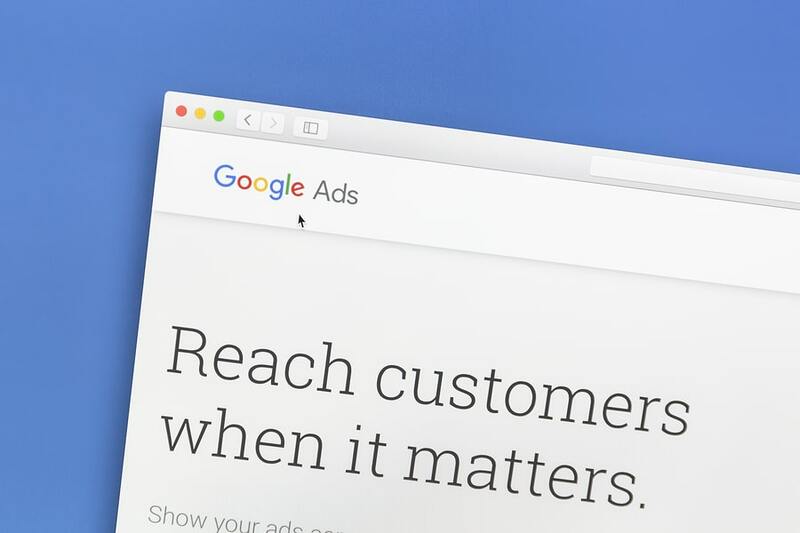 When you are looking to generate leads and grow a successful business, Google Ads is a great tool to have at your disposal. Unfortunately, due to easily fixable mistakes, many business owners find that they are throwing money away each month to Google Ads because they aren’t generating leads or sales. An effective ad campaign can bring a lot of revenue to a business. An ineffective ad campaign, however, can result in wasted money and wasted time. In order to avoid the consequences of a poorly executed ad campaign, be wary of these five Google Ads mistakes. More is not always better. One of the most common mistakes people make when using Google Ads (aside from not proofreading their ads for typos) is creating ad groups that contain multiple keywords that are, at best, loosely related. Writing advertisements that are relevant to all of the keywords in an ad group becomes very difficult; this often leads to poor search results and ineffective advertisements. Instead, use one keyword for each ad group. This allows you to make specific and relevant ads that are much more likely to show up on a Google search. A CRM, customer relationship management, tool lets Google Ads users see which keywords are generating sales (not just leads). This is important because it allows you to see which keywords are generating sales and which need to be tinkered with. Many marketers only use three to four of the ad extensions available on Google Ads. There are actually nine that marketers can choose from (call, callout, location, price, review, message, seller ratings, sitelink, structured snippet). When all nine are used, click-through-rates can increase by up to 20%. The setup process is very easy and simply involves heading to the ad extensions tab on your Google Ads account and enabling them. Geotargeting is an advertising campaign that has been created for a specific city or area and involves including the city name in the body of an ad. If you have a service-based business, geotargeting can help generate more leads and can cut down the costs of individual leads. You ad campaign does not stop with the creation of an ad. In regards to pay-per-click advertising, every click is important. Ads direct customers to landing pages in hopes that the landing page will generate a sale. If you want to make sure that your landing pages are effective, you need to test your landing pages using A/B testing. A/B testing involves creating two landing pages that are almost identical. This will help marketers understand which campaign is the most effective. An ad campaign that has been thoroughly combed through can offer up amazing results; but a faulty ad campaign can seriously hinder a company’s efforts for growth. Test your ad campaigns regularly and double check to make sure that you are not making these easily avoidable mistakes.